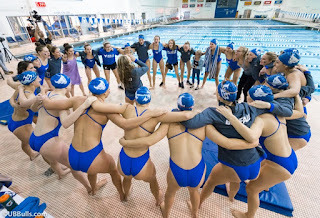 BUFFALO, N.Y. -- A program record eight University at Buffalo women's swimming and diving student-athletes earned a spot on the College Swimming & Diving Coaches Association of America (CSCAA) Scholar All-America Honorable Mention team, as announced last week. The eight honorable mention honorees were the most by any MAC school. The Bulls had seven swimmers and one diver earn a spot on the Scholar All-America squad for their outstanding work inside the classroom and in the pool. 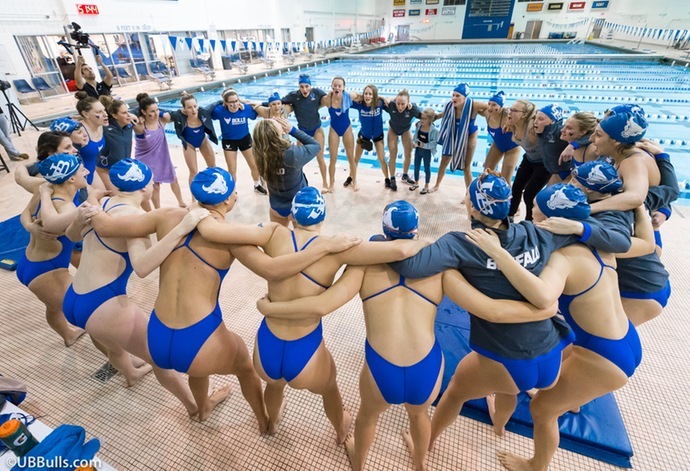 The seven swimmers that earned a spot on the squad were Grace Baumer, Megan Burns, Andrea Ernst, Eve Kosten, Hannah Miller, Nicole Roitenberg and Olivia Sapio, while Kelly Moran was the lone UB diver to be named to the squad. The honorable mention student-athletes have achieved a grade point average of 3.50 or higher and achieved a "B" time standard or competed at an NCAA Regional or Zone Diving qualifier.